I had a three-hour layover at Charlotte airport in North Carolina. For dinner, I had a meal closely associated with the state; Carolina BBQ. After that excellent dinner, I went to the Beaudevin bar, where I sampled something far less typical: wine from North Carolina. The “Carolina’s Finest” flight should have featured three wines from the state, but they were out of the white blend. They substituted a French wine: Vouvray, which is white wine made in the Loire Valley from Chenin a Blanc. The two local wines were a Childress Sauvignon Blanc from Lexington and Vanderbilt Cabernet Sauvignon from Asheville. When Amber visited North Carolina she visited a winemaker whose wines were mainly made from California grown grapes. Childress not only has winemaking facilities in North Carolina, but they also own vineyards in the state. Childress was founded in 2004 by Richard Childress, a former NASCAR driver and now a team owner. 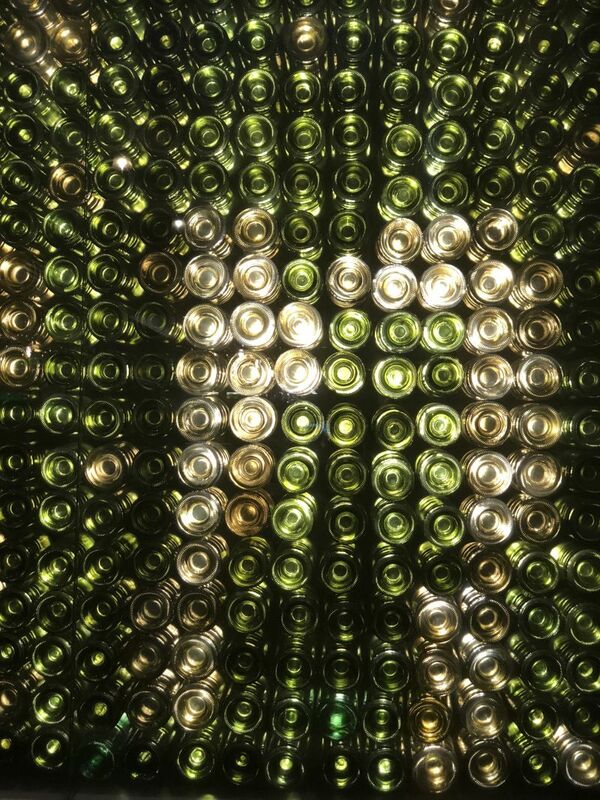 The winery has seventy acres of vineyards on which eleven varieties of grapes are grown. The Sauvignon Blanc had a familiar nose of pear and mown grass. It became more interesting when I took a sip. There was a balance between citrus notes of grapefruit and a creamy mouthfeel with a tropical tang. This was not just a case of a good wine for North Carolina, this is a good Sauvignon Blanc, full-stop; I have had examples of this varietal from Napa that I liked less. Vanderbilt Winery also has vineyards in the state of North Carolina, but my second wine from Carolina’s Finest flight was not made from this fruit. The Vanderbilt “Dry Creek” Cabernet Sauvignon is, as the name suggests, made from grapes grown in the Dry Creek AVA in Sonoma County, California. The medium intensity nose offered notes of toffee, oak, and just a smidgeon of fruit. Taking a sip, I encountered pronounced acidity, plum, cedar, and toffee. Given the medium body, there was an unexpectedly long finish with plum and cherry. This wine was merely ok; there are certainly better and more interesting wines made in Dry Creek. I generally enjoy red wine more than white at tastings; that was not the case in this instance. The Sauvignon Blanc was a far more interesting wine. 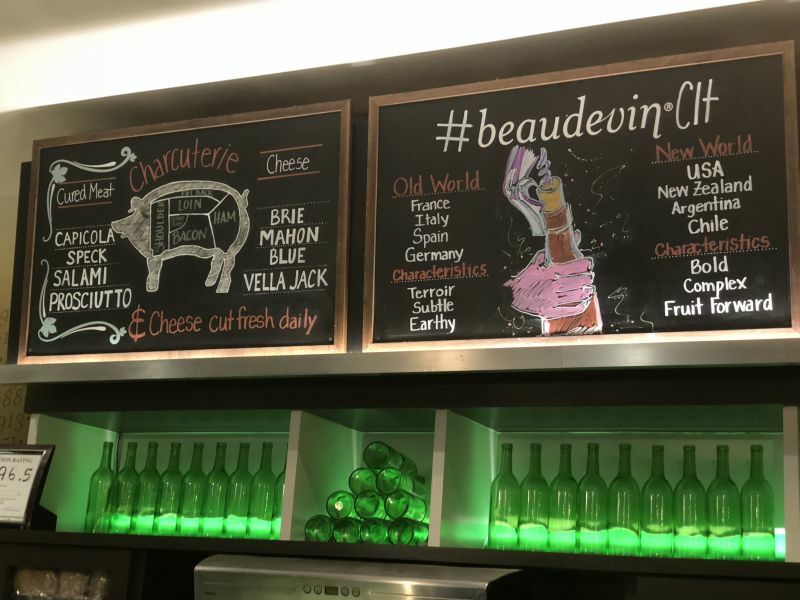 The Beaudevin wine bar at which I tried “Carolina’s Finest”, was a very pleasant place to sit and taste wine. 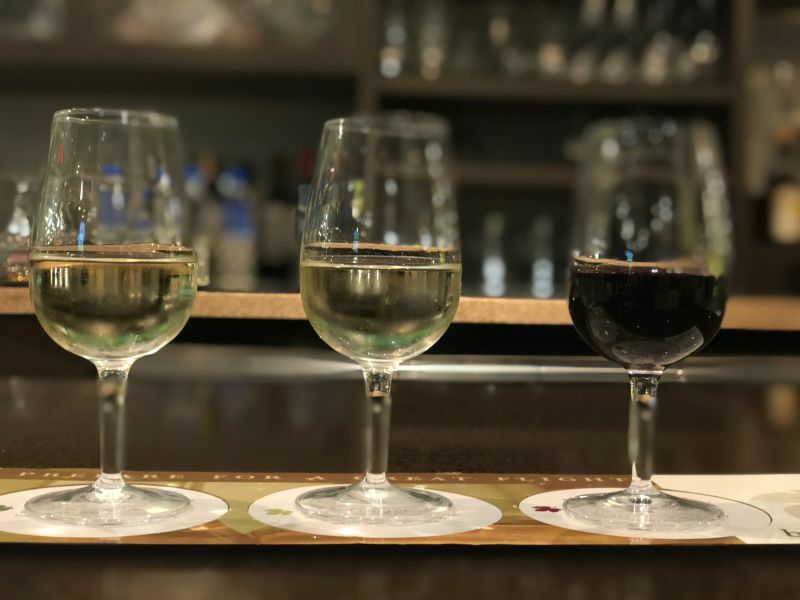 It felt removed from the bustle of the airport and both the menu and wine list would have been tempting if I had had more time between my flights.